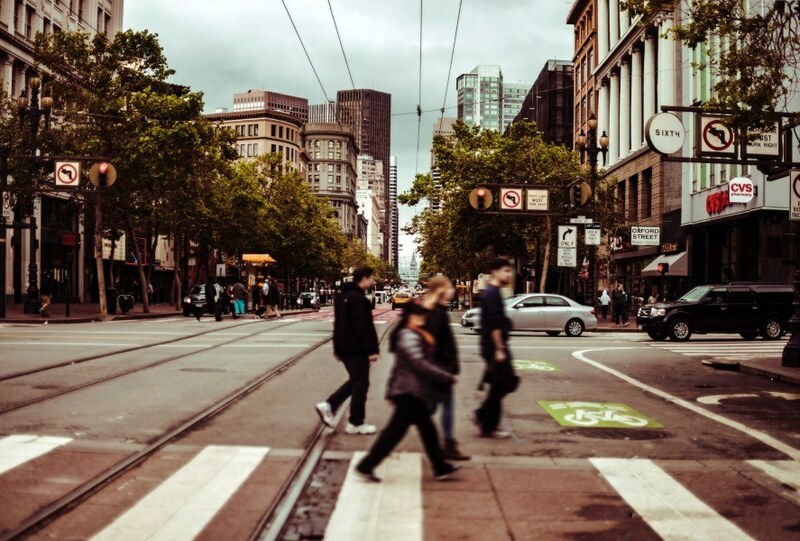 Could A Sound Engineer Prevent Pedestrian Accidents in San Francisco? >> Could A Sound Engineer Prevent Pedestrian Accidents in San Francisco? San Francisco is one of the most walkable cities in the United States, with world famous scenery, iconic locations, and a thriving street culture that embraces both pedestrians and bicyclists. In recent years the city has put forth a tremendous effort to reduce the number of pedestrian accidents in San Francisco, promoting that image and making everyone safer. However, statistics show that the number of pedestrians killed by cars is increasing in urban areas nationwide. Could San Francisco be next? Most pedestrian accidents in San Francisco occur at crosswalks and intersections—where people and cars come into close contact on a regular basis. One exciting project designed to make these danger zones safer is being tested in Los Angeles right now. A sound arts and cultural scholar is hoping that taking a new approach to the old problem will net bigger results. Despite being voted one of the most walkable cities in the world and being one of the most bike-friendly, San Francisco is also one of the deadliest cities for pedestrians and cyclists. The number of fatalities has leveled off in recent years but nearly 30 people lose their lives on city streets every year. The saddest part is that the vast majority of pedestrian accidents in San Francisco are completely avoidable. Speeding, alcohol consumption, and disregard for people walking on sidewalks and in crosswalks were the top three factors involved in these types of deadly crashes. Enter the Mayor’s Office and its plan to adopt a Vision Zero policy: eliminate all traffic deaths in San Francisco by 2025. To that end we’ve seen street redesigns, public safety campaigns, and increased policing—but people are still being injured, they’re still suffering, and they're still dying. The underlying problem may be a combination of a “car-centric” mentality and selfishness rather than outdated roadways. The LA Department of Transportation (LADOT) enlisted the assistance of Alan Nakagawa—an artist with a long history of success within LA’s transit agency—to help curb fatalities in the City of Angels. Nakagawa understands that the multiple cultures within LA all have different ways of using the street. They have different opinions, histories, and concepts of what is right, what is legal, and what is safe. Those conflicting ideas, he says, are the root of the problem—everyone thinks the road belongs to them! It becomes essential, then, to speak to all the people in a way that transcends language and even cultures in order to create safer streets. His project would effectively teach people street etiquette in a universally understandable way, and overcome that biased idea that the individual is the most important person on the street. Nakagawa wants people to see that everyone is equally important. To do that, Nakagawa is in the process of interviewing pedestrians, motorists, and safety personnel. He then plans to create learning tools to help people overcome their personal bias and begin to see everyone on the street as important. Sounds like a far-fetched and “alternative” way to look at pedestrian fatalities but Nakagawa thinks that’s exactly why it stands a chance of making a change. Could this Technique Eliminate Pedestrian Accidents in San Francisco? As a San Francisco pedestrian accident attorney I’ve seen all too clearly the minimal effect on distracted driving and negligent operation of motor vehicles that the city’s new streets have. While the physical improvements have helped to some extent, it really is up to the drivers to make San Francisco streets safer. Perhaps rethinking how they view their relationship to the road will change things for the better. In the meantime, if you’ve been injured by a distracted or negligent driver, I can help. Fill out this short form to find out if you have a case or contact one our expert pedestrian accident lawyers. Call (415) 413-0033 today.